When making an IT investment, two considerations are vital in determining the best-fit device: how will it integrate with the infrastructure in place today, and how will it grow with evolving business needs in the future? When making an IT investment, two considerations are vital in determining the best-fit device: how will it integrate with the infrastructure in place today, and how will it grow with evolving business needs in the future? 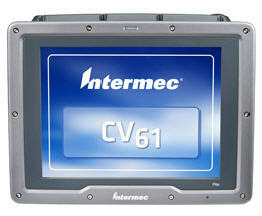 Fortunately, the Intermec CV61 provides the best solution both today and tomorrow. Leveraging the latest operating system and data processing technology, the CV61 allows you to easily convert your current WMS applications and still have the capacity to implement next-generation applications as your business needs grow. The CV61 combines a smart design that makes it easy to migrate from legacy VMUs, while providing the next generation technology to meet your business needs well into the future.